Do you have a difficult attorney in your life? I don’t know an LNC who can say “no” to that question or is fearful of encountering such a person. Just who are the tough clients? Some difficult attorneys frequently whine. Some always look for the worst in a situation. Some seem determined to disagree with whatever you say. Some seem born to make your life miserable. These people are immune to logic and reason. They seem to have no interest in resolving crises or conflicts. You might laugh (bitterly, I’m sure) if anyone told you such difficult attorneys are actually trying to communicate their needs. “If so,” you may be thinking, “they don’t do any better job than my five-year-old.” Hold that thought. Humans have three brains: the primitive or reptilian brain, which relates to fear and survival instincts, the mammalian brain, where feelings, moods, and memories live, and the neocortex, home of reason, logic, and intuition. When the primitive brain gets triggered in someone, he can’t process reason and logic. He can only think of fighting or retreating his way to safety. This is the “fight/flight” dynamic. 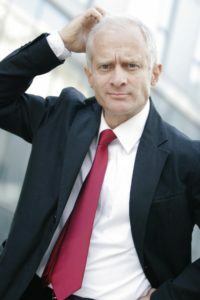 If the difficult attorney’s mammalian brain is in charge, again, reason and logic are useless, and pressure will make him harden his position. Your best approach to effective communication is to meet him where he is and soothe the instinctual or emotional reaction. Say, for example, the attorney says he’s frustrated about an invoice he received. Practice empathy. Try to imagine how he’s feeling. Also ask questions—carefully. 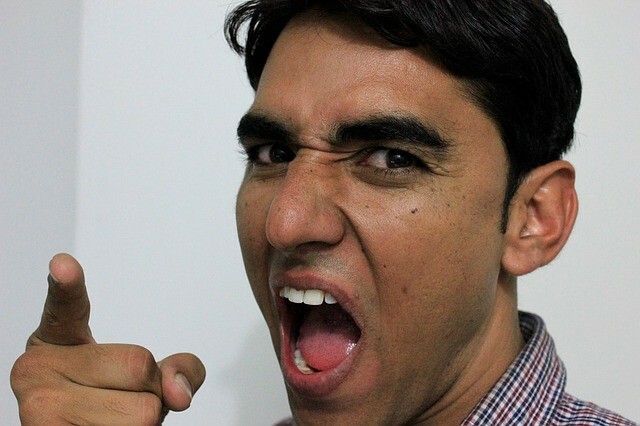 Don’t say, “Why are you so upset about this?” Say, “Can you tell me what upsets you about this invoice?” Your tone of voice is everything in this instance. Follow with, “You may think I don’t understand what you’re feeling. I’d like to, though.” This show of genuine concern and interest will help the person return to the logical part of his brain. Let him express himself fully without interruption. This is important, because you may be tempted to interrupt. 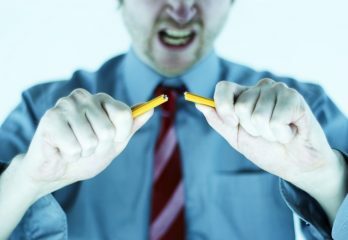 Someone in full vent may activate your own fight/flight response, and you may feel the urgent need to defend yourself. Don’t succumb to that need. Also don’t give into your logical mind, which wants to correct factual inaccuracies. Just listen. The difficult attorney will stop eventually. Get practical tips about responding by listening to the podcast of Randy Kearn, a nurse who shares his expertise on communicating with difficult attorneys. Click on this link to get to the program. When you feel that he’s ready to listen, thank him for his honesty. Say that you want to know how you can work together to solve the problem. Say that you value and would really like to hear his input. This approach is especially useful for chronic complainers whose deeper problem is that they feel ignored, that their opinions don’t matter. However, at this point, the other person may not respond at once, often because he still feels stuck in the primitive or mammalian brain—or because he now feels emotionally exhausted. When this appears to be the case, ask him to write a list of conditions or actions that he thinks would improve the situation. Make an appointment to go over the list, preferably the following day. This will give him a chance to shift gears. When you have the meeting, give the person your full attention. Once he feels that someone actually cares what he thinks, you may witness a marked change in his attitude and behavior. Note: This approach also can work for five-year-olds. Handling difficult attorneys is an inescapable part of being a legal nurse consultant. 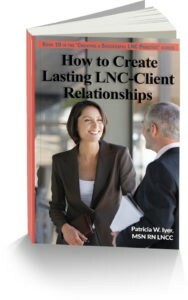 How to Create Lasting LNC-Client Relationships focuses on the concept that working with attorneys is challenging and rewarding. Going deeper, you can have an aggressive marketing program to bring in new clients, but if you cannot retain them, you’ll be endlessly spinning your wheels.